Compared to what we’ve reviewed in the past, RESQWATER only really has three key ingredients, the others being vitamins and minerals. We like simple formulas over the complex ones mainly because they function more efficiently. When it comes to hangover drinks, the one important function is rehydration. The other one is liver protection. So, it goes without saying that just about every hangover pill or drink offers both, but often in complex and long formula designs. With that, we expect a lot from RESQWATER’s stance on what a hangover drinks should look like. 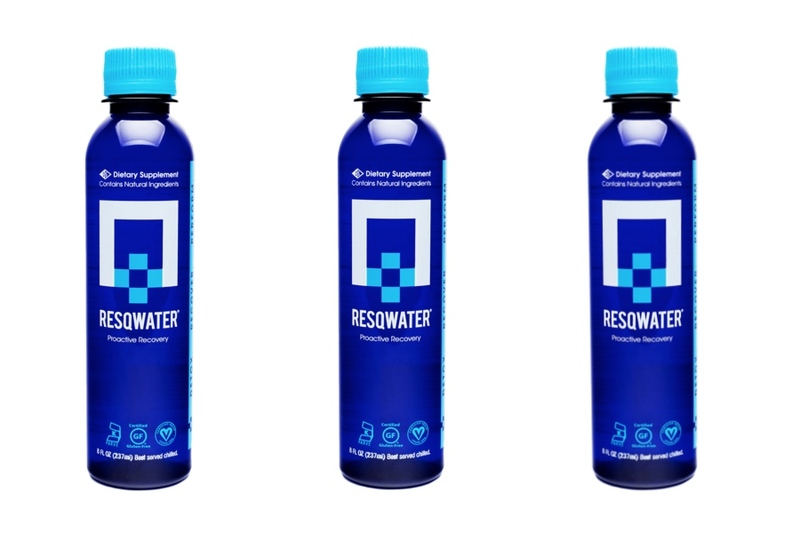 Can RESQWATER actually help with our hangovers or is it just a fancy multivitamin water in a blue bottle? Let’s find out! RESQWATER is sold by Intelligent Beverages, LLC. 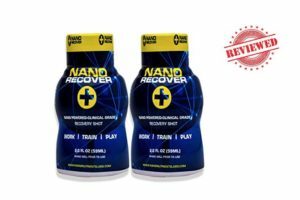 It promotes itself as a “Proactive Recovery Drink” which tells us it’s something you’re supposed to drink before you party hard. More than a hangover drink, RESQWATER also markets itself as a gym rehydrating product and we guess it’s due to the vitamins and minerals it contains. Slim formula. The more complex the formula is, the more confusing it usually gets for the body to know how to make use of it. Luckily for us, RESQWATER likes to keep things at a minimum as we only see three to four key ingredients in the label. Prop blend. It has one small prop blend which we hate because prop blends forbids from reviewing the product accurately. Consumed during or after. Not sure how people will remember to drink this while drunk nor do we have any idea what their friends will think of if they see their friends bringing out a mysterious blue bottle out of their shirt in the middle of a bass drop. Vitamins and Minerals. Vitamin and electrolyte replenishment plays a key role in hangover drinks and RESQWATER did well to add a good amount for each. Compared to our previously reviewed products, the vitamin and electrolyte content in RESQWATER is pretty slim, but then again these aren’t the big ingredients we’re after. Prickly Pear Cactus. 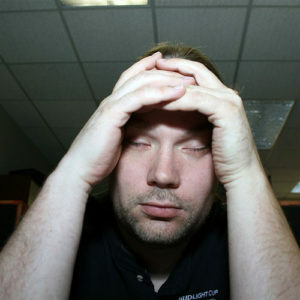 Hangovers are awful, not just because of how they make you feel but also because of what they do to your body. One of the awful side effects of hangovers is inflammation. It should be noted inflammation is now seen as a common denominator when it comes to “popular” diseases such as diabetes, heart disease, cancers, and liver damage. Prickly pear has been shown to help inhibit inflammation which, if taken as a preventative supplement, could lower your chances of getting a bad hangover the following day. N-Acetyl Cysteine. NAC is a favourite ingredient in many detox and hangover supplements and it’s all thanks to its liver-protective benefits. It doesn’t exactly help with hangovers per se, but it does help the body produce glutathione, a powerful antioxidant. In one study, NAC has been shown to provide healing properties that reduce the adverse effects of alcohol in rats. Milk Thistle. Milk Thistle active ingredient is silymarin, the one ingredient featured in every liver supplement as it’s known for its liver-protective properties. More than liver health, studies also reveal its potential in prevention and even treatment of liver cancer. RESQWATER is the most conservative hangover drink we’ve ever seen, and we’re not just referring to its dosing either. We’re talking about how slim its formulation is relative to other hangover supplements we’ve reviewed. Not counting the vitamins and minerals, you only get three key ingredients. Four if you count its addition of sugar for “energy” benefits. So yeah, not much to do research about especially since the ingredients are common in any hangover supplement. The only anti-hangover ingredient we see is prickly pear. We like it, but the fact that RESQWATER used a prop blend means we don’t know how much of prickly pear we’re getting in one serving. NAC and Milk Thistle are largely liver-protective ingredients too, and not anti-hangover and the rest of the ingredients are either vitamins and minerals or fillers. In short: RESQWATER is a relatively weak hangover drink. We just can’t see how it can dominate the market it tries to sell itself to. It’s not cheap either, and the fact that it barely offers anything useful makes it more expensive. 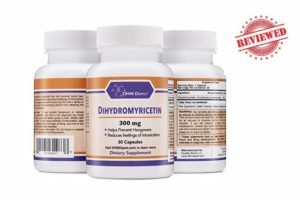 It does help replenish vitamin and electrolyte stores, but not as good as an ordinary multivitamin. As for its hangover benefits, it’s there but it’s minimal. A good thing with slim formulations is how the company can minimize the side effects. Based on what we researched, as well as customer reviews, the only real side effect is not working as advertised. Simple formula. Everything is straight forward and without unnecessary complexities that just confused customers than impress them. Liver protective. Hey, it’s not a hangover supplement if it doesn’t help the liver do its job. Up to 48 packs. You can save a lot of money if you order in bulk. Prop blend. We hate prop blends because it ruins the accuracy of our review. Low dosing. The three key ingredients share just more than a gram of weight per serving. That’s not good. Too slim. We like simple formulas, but we think this one’s anorexic. Expensive. We’ve seen better “bad” hangover supplements with more attractive price tags. We have no problems with RESQWATER being used for gym purposes. It does promote rehydration and could reduce muscle soreness. What we can’t recommend it fully for is for hangover prevention. The product is skin and bones, so much that we wonder if we can do a better job by just buying the key ingredients and combining them all for a much lower price. The fact that RESQWATER promotes itself as an “After Celebration” drink is optimistic. We also think it used “after celebration” and not “hangover” because its probably better suited as a multi purpose product and hangovers are not the main focus. Weak ingredients, slim formula, expensive price tag, we’re not sure if we should recommend RESQWATER for purposes other than hydration.